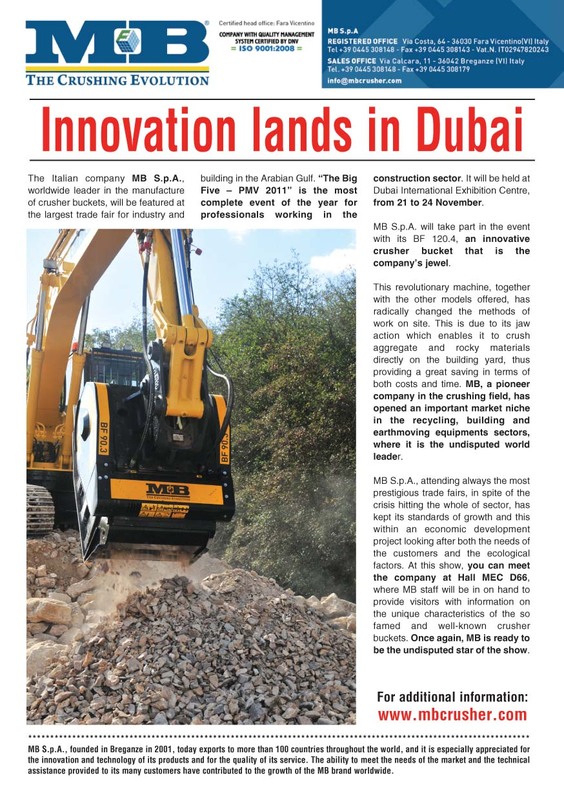 Innovatios lands in Dubai - MB S.p.A.
".. 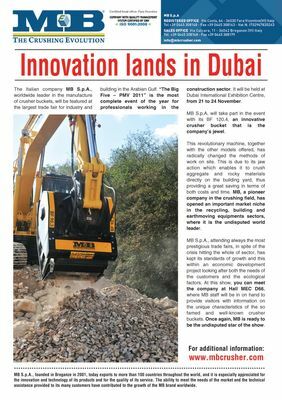 The Italian company MB S.p.A., worldwide leader in the manufacture of crusher buckets, will be featured at the largest trade fair for industry and building in the Arabian Gulf. "The Big Five - PMV 2011" is the most complete event of the year for professionals working in the construction sector. It will be held at Dubai International Exhibition Centre, from 21 to 24 November .."